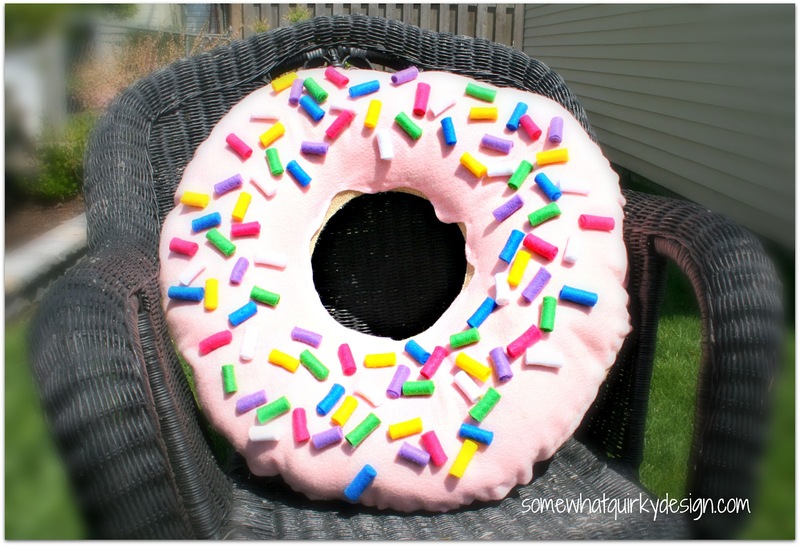 I know the world is slipping off its axis just a little because I have not yet published the tutorial for my world's first 28 inch doughnut pillow! So here it is. Run out today and get your supplies. Making this pillow will change your life forever! First let me give you a tutorial for the tutorial. On the pictures themselves you see the directions for how I made it. The words following the picture tell you how you SHOULD make it. I had burlap that I wanted to recycle so I used burlap. I DO NOT recommend burlap for this because it is rough and because it makes a mess. I used drapery lining for the lining. 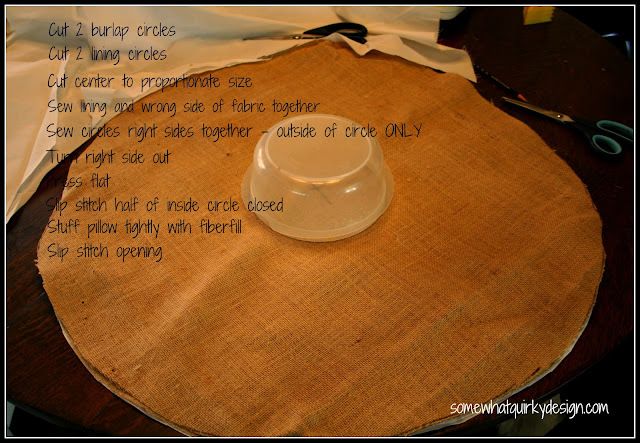 I recommend using a FUSIBLE INTERFACING for either burlap or for fleece. This will help the circle stay circular and keep it from being lumpy. 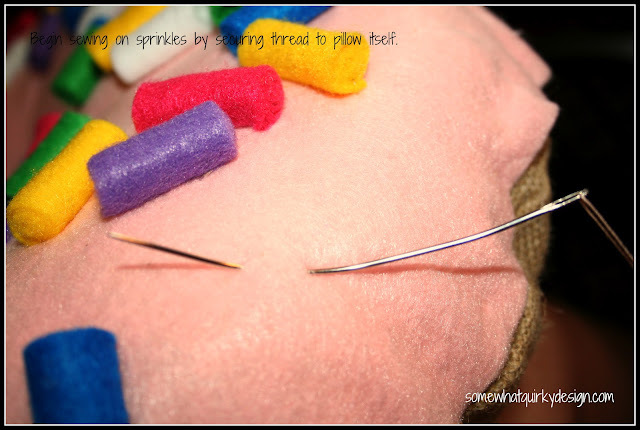 Sew inner circle with extra care - this area will receive the most stress and is the most likely to come apart. 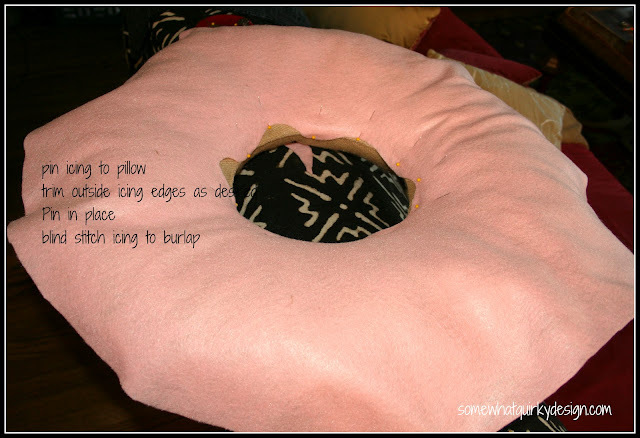 This pillow was cut to 28 inches - finished (stuffed) width is 24 inches. I think it would be really cute at 36 inches! 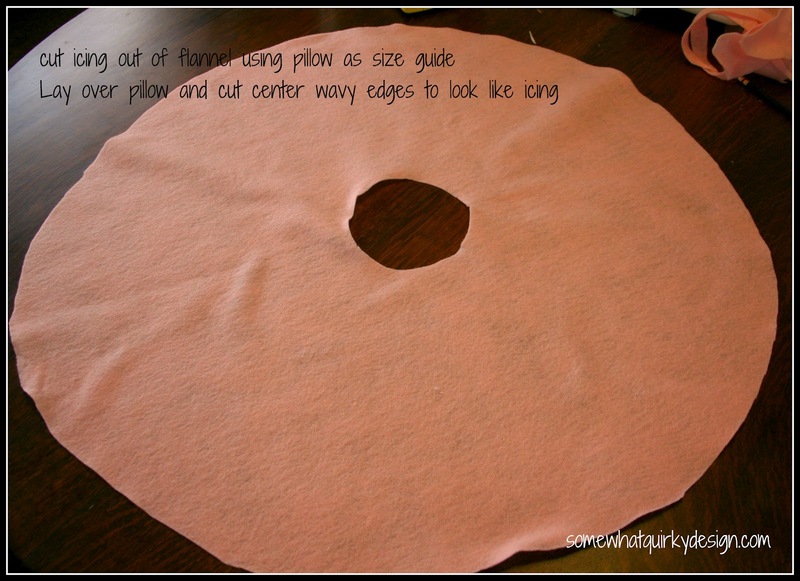 If you make it bigger you will need to buy more sheets of flannel for sprinkles. I did this part perfectly! Don't change a thing! It took all of 6 sheets of flannel. Use an upholstery needle for this if you have one - you want this sprinkle to be firmly attached and the curved needle enables you to dip into the layers of the pillow. 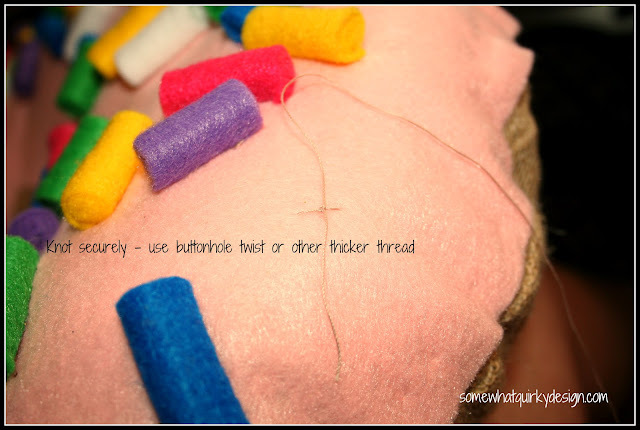 It also allows you to bury the stitch between sprinkles - so they are all connected (limited by thread length of course). Make sure you do at least one stitch through the entire length of the sprinkle. You don't want it to come unrolled. 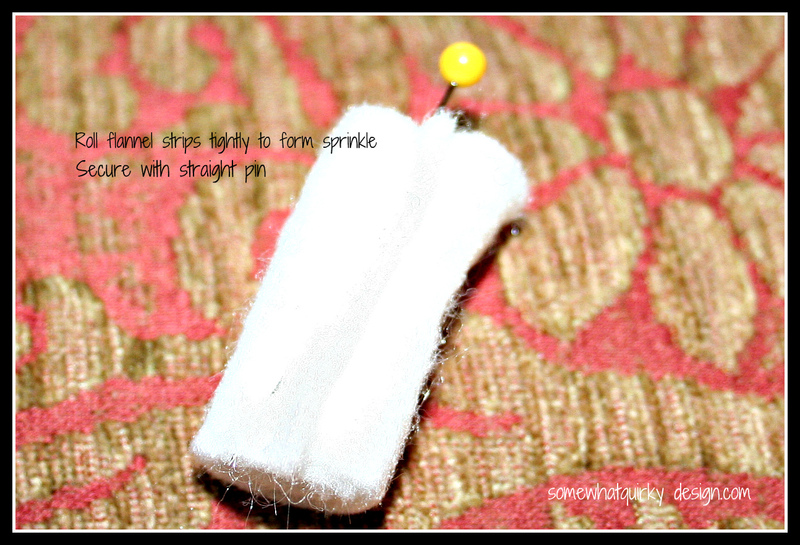 Once sprinkle is attached firmly make a deep stitch that comes out at the next sprinkle. 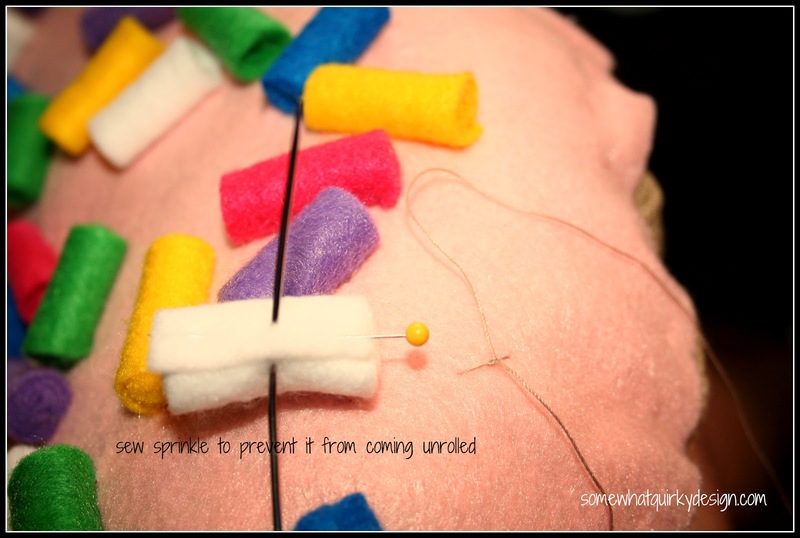 Continue until all sprinkles are attached. 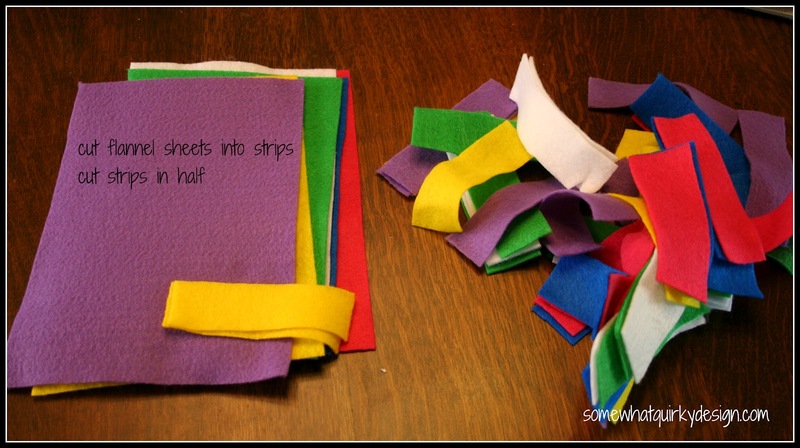 You could glue these, but I don't trust glue for this application. I love the way this pillow looks. The outer edges of the doughnut will likely be crinkled, but so are doughnuts. You wouldn't want it to look unauthentic! I think it would be really fun for a reading nook or play room. I have neither, so mine just has to hang out in a chair until it makes its move to a 1st grade classroom. Now the world can be back on it's axis. If you make one of these send me a picture! 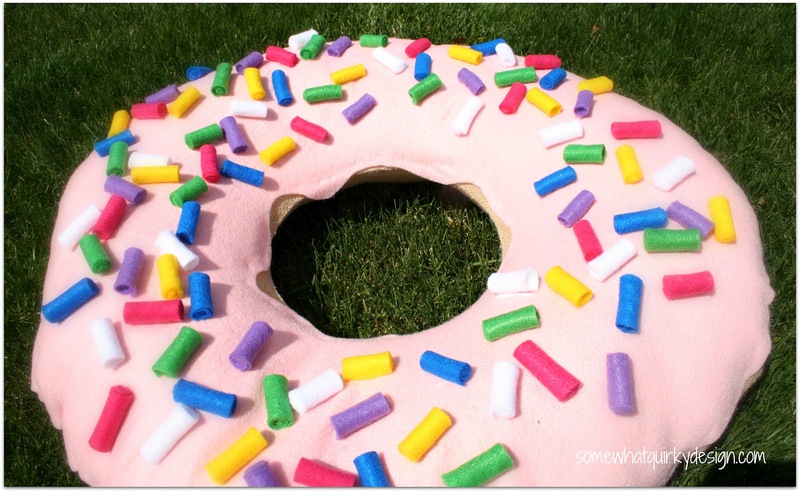 Let's fill the world with doughnuts! Cute pillow. I love whimsy! Oh my goodness! This is the quirkiest and cutest thing ever!!! I love it! I love this! 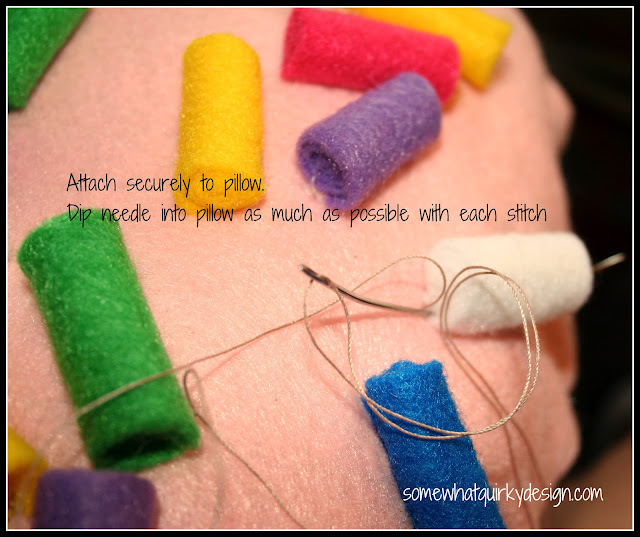 I just got my first sewing machine and I can't wait to try this project! I'm thinking it's going to end up a cat pillow in my house, so I might make it as a gift! Love love!